Available for UK next day delivery with FREE chocolates and FREE PopVase! Our Oak Forest bouquet is an enchanting hand tied arrangement with sorbet roses, germini flowers, cerise carnations framed with oak leaf and hypericum. 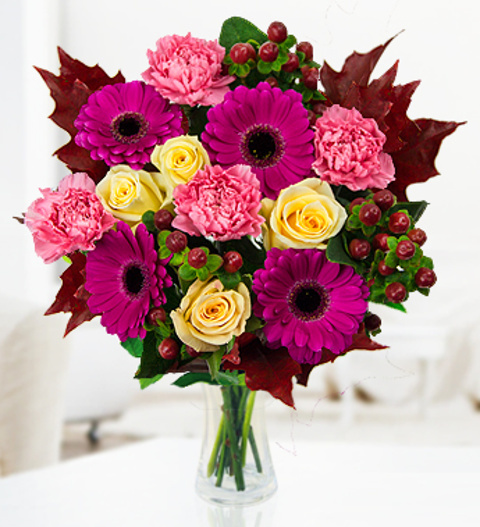 A beautiful arrangement that is simply perfect for all occasions and expertly hand tied by our British Florists. Chocolates may contain nuts.